congrats JR, Amy and the rest of the top 100, couldn't run with better company! And I'm glad to have my #4 spot edged out by the wonderful Barbara Robbin, truly an Ageless wonder! great running everyone and to many more years on the road! 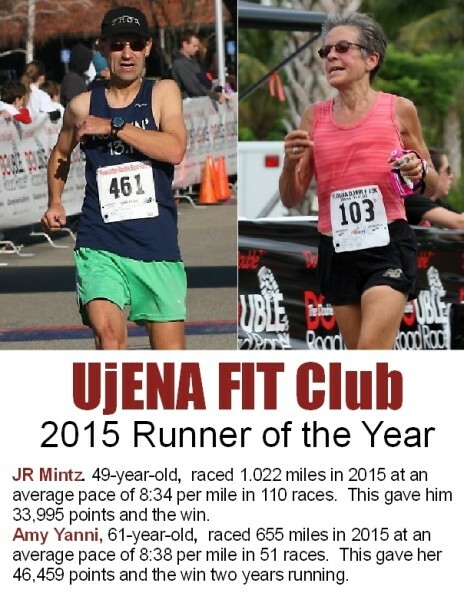 Our Ujena Fit Club 2015 Runner of the Year have just been announced. JR Mintz is our men's winner and Amy Yanni is our women's winner. The top 100 men and women will be awarded an annual medal at the awards ceremony Dec 19 at Club Sport Dec 19 in Pleasanton California at 7pm. Click on the photo to see if you made the cut. Congrats to all! 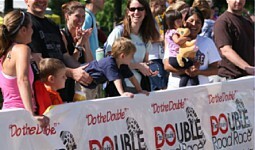 RSVP bob@doublerunner.com before Friday.